Dave Jalbert is a Level 2 Coach and Affiliate Owner of CrossFit Insanity. Dave graduated from Cal State University Fullerton with a degree in Exercise Physiology in 2002. After graduating from college, Dave became a Certified Strength and Conditioning Specialist through the National Strength and Conditioning Association. In 2005, he began training in Jiu Jitsu and Muay Thai Kickboxing and took his first amateur MMA fight after only three months of learning the sport. In 2007, Dave went Professional as a Mixed Martial Arts fighter accumulating a 3-2 record. Throughout training for professional fights, Dave was introduced to the CrossFit methodology in 2008 and continues to train for both to this day. He has been a personal trainer for 20 years and has owned his personal training business for 11 years and then became a CrossFit Coach and Affiliate Owner in 2009. CrossFit and MMA have become a way of life for Dave since he has embraced the complete lifestyle of training, nutrition, and mental focus. Michael is a CrossFit Level 2 Coach and Affiliate Owner of CrossFit Insanity, a United States Marine Veteran, and a noted singer/songwriter. He was born and raised in Orange County, CA and loves his beach roots. Michael lettered in Cross Country at Mater Dei High School, and he continued his love of both physical endurance and mental toughness during his military years in the United States Marine Corps as an EAF Aircraft Recovery Specialist. He received his first Fitness Certification through the International Sports Sciences Association in 2007. Michael found CrossFit in early 2010…and fell in love. He trained, studied and persevered to receive his first CrossFit Coaching Certificate in July 2011. He has continued his achievements through CrossFit’s Level 2 Certificate and USA Weightlifting’s Level 1 Sports Performance Coach and USAW Master Athlete/Club Coach Certificate. Michael truly believes that everyone has incredible physical strength and a tremendous mental ability to overcome any hurdle or obstacle in one’s path. He believes that everyone already has this potential, and it is just waiting to be unlocked. He loves competing in CrossFit competitions and Olympic Lifting meets, but more than that, he loves life, succeeding, and, most of all, conquering and destroying any doubt or society’s pre-programmed “can’t do, can’t win” attitude or habit. Michael would like to share his gift of change and positive attitude with you. “To every man there comes that special moment when he is tapped on the shoulder to do a very special thing unique to him. What a tragedy if that moment finds him unprepared for the work that could be his finest hour.” – Winston Churchill. Gregg has been a sports enthusiast since he was a young child. He participated in baseball, soccer and wrestling starting at the age of 5 and continued throughout high school and college. Once college was finished, he was looking for a way to stay active and keep moving but hated going to the gym and doing treadmill or elliptical work. In December of 2012, his sister invited him to do a workout at her CrossFit box in PA and he almost died! The variation of movements and the intensity of the workout was much closer to that of a day in the wrestling room compared to a day at 24 Hour Fitness. He was hooked instantly. When he got back to California from vacation, he started looking for boxes and found CrossFit Insanity close to his work. He tried out their coaching and workout program and instantly fell in love. 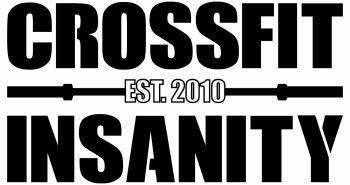 CrossFit Insanity peaked his interest in fitness so much that he has received his Level 1 Trainers Certification in January 2013. Gregg has a growing passion for Olympic lifting, competing in his first competition in April of 2013, as well as multiple other fitness competitions with the CrossFit Insanity team. Gregg now wants to take his love of the movements and help coach and guide people to their full potential and strength. He is a very positive person and loves to motivate others to push a little harder and achieve goals they never thought possible.